Silversea has announced a new three-night, pre- or post-cruise programme called “Hiking in Cortina” where guests can hike the Dolomite Mountains in Italy. The itinerary includes three nights accommodation at Rosapetra Spa Resort in Cortina d’Ampezzo, where participants meet with their alpine guide to determine the itinerary best suited to their skill levels. Safety equipment including a helmet, harness, gloves, and other cable gear is provided. During their stay at Rosapetra, guests will also receive complimentary access to the resort’s heated swimming pool, whirlpool, sauna, and Mediterranean and Turkish baths. Cortina d’Ampezzo is set at the foot of the rugged Dolomite Mountains and is a picturesque Italian town that once hosted the Winter Olympics. 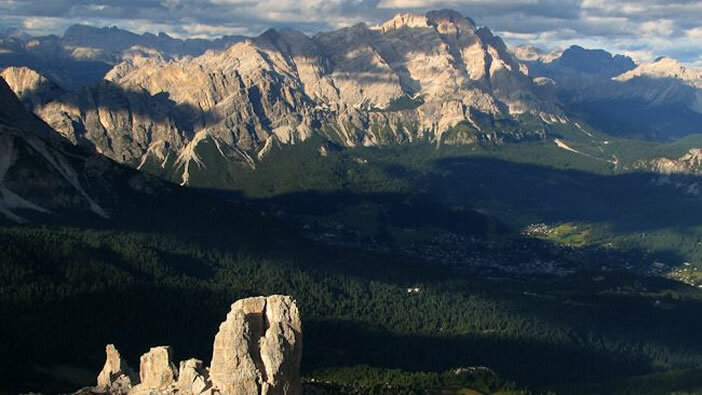 For more adventurous travellers, the “Hiking in Cortina” tour features a guided alpine trek along a via ferrata, or “iron road.” The narrow route is equipped with steel cables, ladders and other fixed anchors, such as wooden walkways and suspended bridges, making it possible for hikers of all skill levels to hike on ledges, climb vertical walls, and reach mountain peaks. Hikers set their own pace, and can hike for as long as they prefer. The optional three-night, pre- or post-cruise programme is offered this summer on 17 Mediterranean cruises departing or concluding in Venice. The “Hiking in Cortina” programme includes up to eight hours with a certified alpine guide, use of safety equipment, accommodation, transfers between airport, hotel and pier, and some meals. Participants should bring suitable clothing, boots, and a backpack. Tour prices start at £1239 per person based on double occupancy.